Techno Drivers - Humphrey, Covill, and Coleman Insurance Agency, Inc. Many states prohibit cell phone use while driving. Our neighboring state Rhode Island just enacted a law prohibiting anyone less than 18 years old from driving while using a cell phone or handheld electronic device. Rhode Island has a law on the books already prohibiting texting while driving. 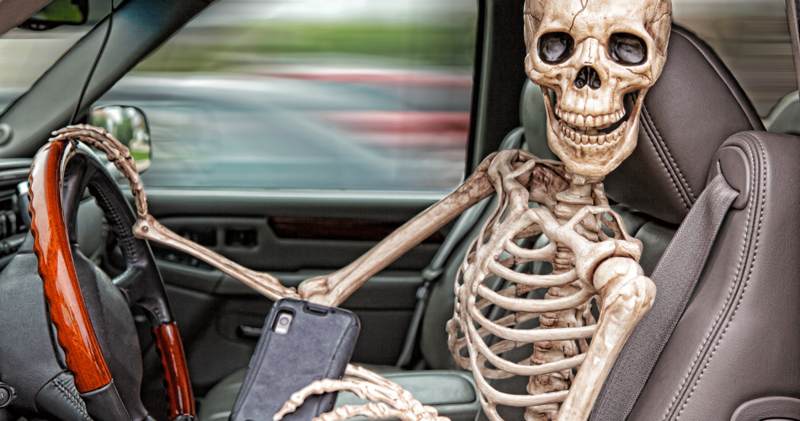 Starting June 1st, 2018 driving will only be allowed to touch their phones to answer a call or to end a call. Bluetooth, earpieces and other hands-free devices would still be permitted, along with phone use for emergency calls. A 2007 survey conducted by a major insurance company shows that “driving while distracted” accounts for nearly 80% of all auto accidents in the United States. A nationally representative survey by Consumer Reports in October 2017 found that 41 percent of drivers with smartphones said they had used their hands to text while driving, and 8 percent admitted to watching a video on their phone while driving. Distracted driving is dangerous, claiming 3,450 lives in 2016 alone and an estimated additional 391,000 injured. One of my friend’s daughters was recently introduced to a telephone pole one evening while on her cell phone. She blamed her dad for calling her. Teenagers think they are invincible. They believe the big old hunk of metal they are driving will protect them in an accident. Wrong! Young drivers must take extra caution while driving. Parents should encourage safety while using these toys and of course set an example. Wear your seatbelt, drive with your headlights on in inclement weather, take a second look over your shoulder before changing lanes, always look both ways before proceeding through an intersection – green light or not! Slow down and get there in one piece. I sound like a broken record, but I have seen far too many accidents that could have been avoided. What to do if you don’t have a car with blue tooth technology? Bluetooth car kits bridge the gap between old and new technology by connecting your phone to your car stereo. After 80 hours researching Bluetooth car adapters designed to bridge the technology gap between smartphones and stereos, including 16 hours of testing Jeph Preece Automotive & Elderly Care Domain Editor published this article. Feel free to contact us should you have questions about car insurance, or general coverage. Thank you, have a great day!